-Tell the World about Your Company with eReleases.com! All new customers get $130 Off the Newsmaker distribution. IGNORE our normal rates because they're being BLOWN AWAY for this special promotion! Boost your support by offering rewards as incentives to inspire more donations. Power your start-up with pre-orders of a new product or services in exchange for support. You can raise money for your hopes, your dreams, your wants, your needs, or your causes. Raise money for yourself, friends, family or someone you know. Creating a campaign is free and takes only minutes. 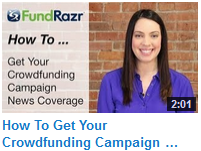 Start creating your fundraising campaign. Facebook, Google Plus and Twitter by sharing donations, comments and story updates. Dachshund Rescue South Florida has raised over $130,000 to save the lives of more than 60 severely sick and injured doxies with the help of crowdfunding platform FundRazr. Planet Goldilocks "Where everything has always been just right!" 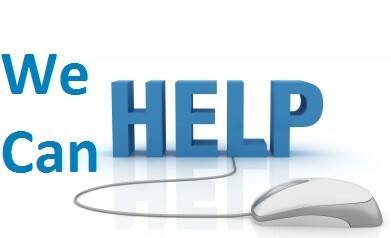 Whether you want to start a campaign now for FREE or find worthy causes and donate. You can now raise money for your hopes, your dreams, your wants, your needs, or your causes. 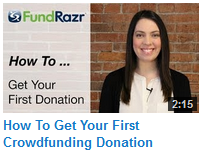 Raise money for yourself, friends, family or someone you know. Creating a campaign is free and takes only minutes. Entrepreneurs can pre-sell a product or service to launch a new business concept. 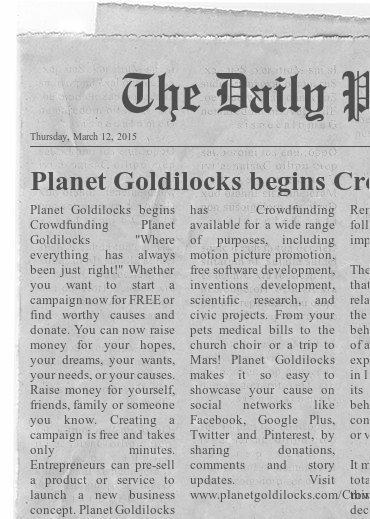 Planet Goldilocks has Crowdfunding available for a wide range of purposes, including motion picture promotion, free software development, inventions development, scientific research, and civic projects. From your pets medical bills to the church choir or a trip to Mars! Planet Goldilocks makes it so easy to showcase your cause on social networks like Facebook, Google Plus, Twitter and Pinterest, by sharing donations, comments and story updates.